Dr. Joseph G. Willardsen and the entire team here at True Dentistry look forward to answering your questions and helping you renew your smile with beautiful results. Offering a comprehensive array of general, restorative, and cosmetic dentistry procedures, our experienced dentist utilizes his specialty-training and advanced techniques to create customized treatment plans to meet your needs. Our office is conveniently located in the metropolitan Las Vegas area, among many of the sights and attractions that make our city one of the best in America. 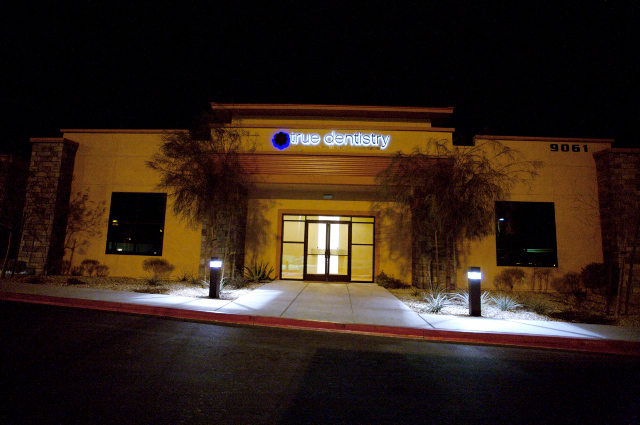 True Dentistry is a state-of-the-art practice designed with luxury and comfort in mind. Dr. Willardsen is the official dentist for the Nevada Miss USA pageant, and his services are often requested by members of the media and entertainment industries in order to help them maintain healthy, beautiful teeth. Please fill out the fields below to contact our practice, or feel free to call us.